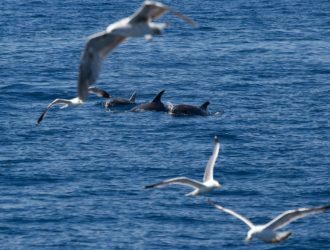 Island of Krk is often cited as one of the top destinations for windsurfing in Croatia. 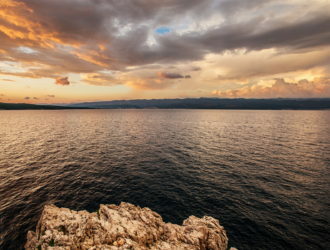 The island gets the northern to north-eastern wind Bora from the mountain range Velebit (on the mainland) and the southern/ southern-east wind Jugo which often comes accompanied with rainy weather. The wind Bora blows in strong “hits”, while wind Jugo blows more constantly in the area. 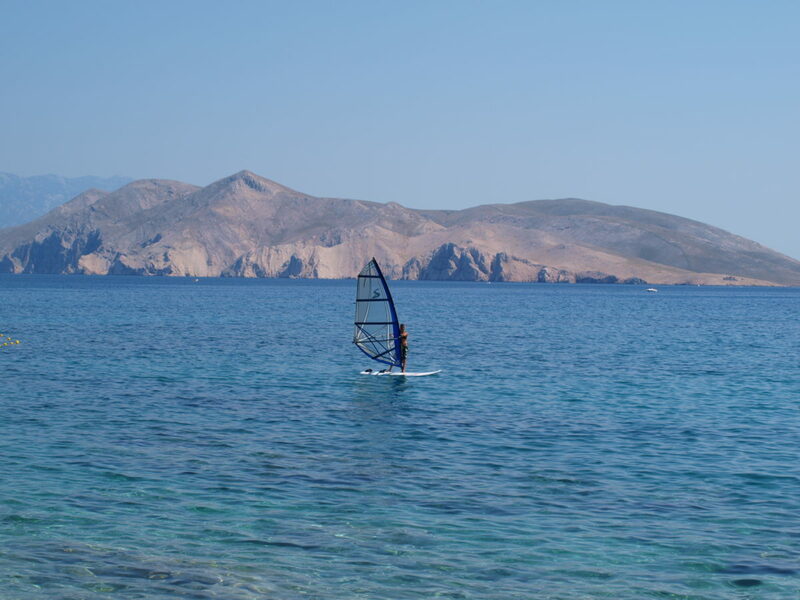 Where to go Windsurfing on the Island of Krk? 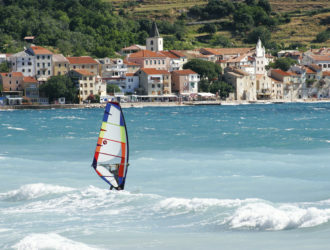 Two main places for windsurfing on the Island of Krk are towns Baška and Punat. 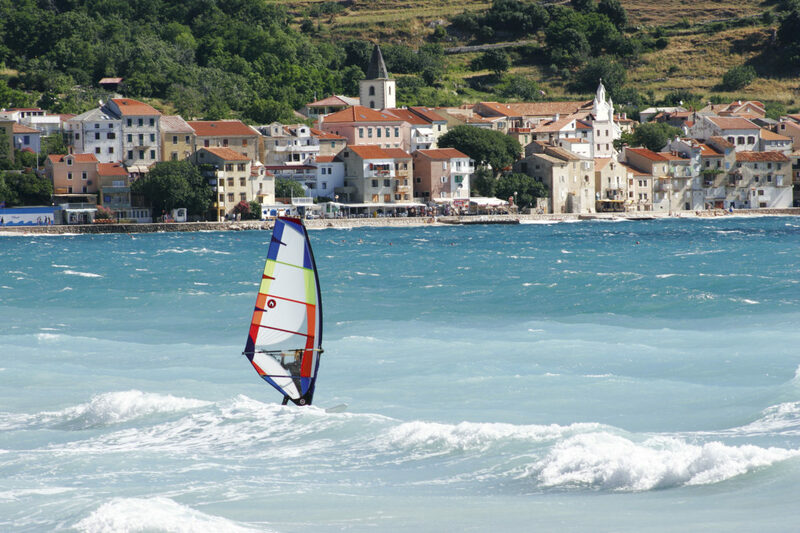 The town of Baška is interesting for experts in windsurfing. The wind Bora is “born” in the mainland town of Senj and it arrives in Baška in a form of high waves which can be up to 1,5m high. On the other hand, the town of Punat, located in a protected bay is ideal for beginners as it has lighter winds and there are no high waves. 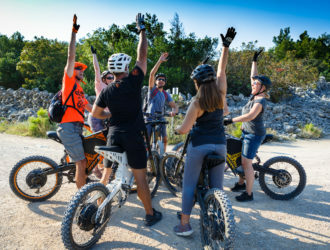 There are several locations in Punat to go windsurfing. Most popular location. You will find most of the windsurfers starting off from here. It is the top location for windsurfing. This location is behind the islet of Košljun, situated in the middle of the Punat Bay. The location is perfect since you can easily reach the starting point on foot should the winds bring you all the way to the other side of the bay. The location is perfect for freestylers and beginners. It is convenient for arrival by car as you can park right by the entrance to the sea. This location is ideal for top speed fans. The “fourth” beach of Punat when coming from the centre. 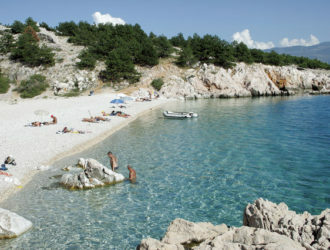 You will see the signs “Plaža/ Beach” when arriving by car. Take the location into consideration during the wind Jugo coming from the south. You will be at the open sea here, however, since the wind is blowing from the south, you will always end up on the coast. 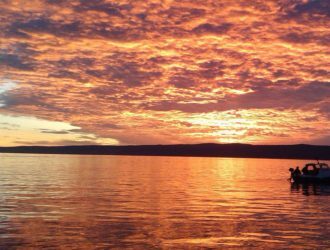 Where to Rent a Surfboard on the Island of Krk? Is there a Windsurfing School on the Island of Krk? There has, so far, not been any windsurfing school on the island. You will have to satisfy yourself with YouTube tutorials. 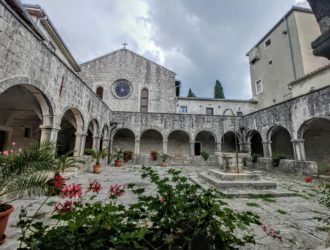 Where to check Weather Forecast for the Island of Krk? Where to Buy Windsurfing Equipment near the Island of Krk? 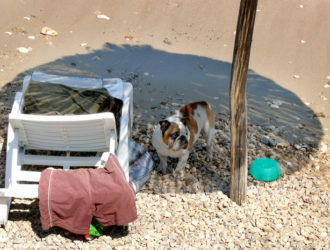 Unfortunetely, there are no places selling windsurfing equipment on the Island of Krk.